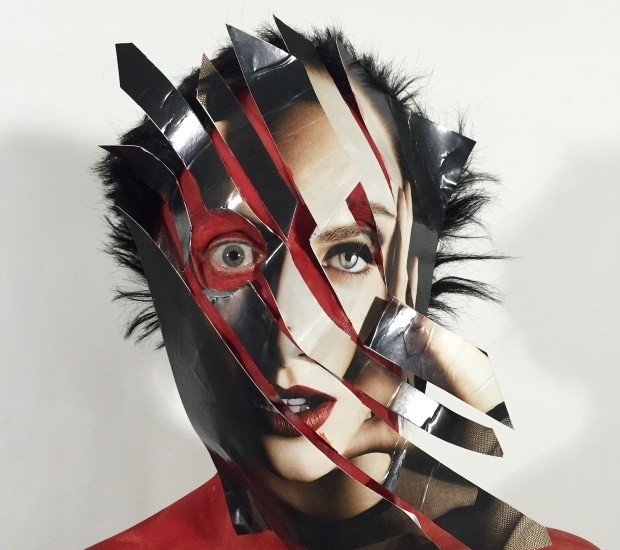 This one-of-a-kind photography performance project has seen an American artist create a series of surreal and wild self-portraits. 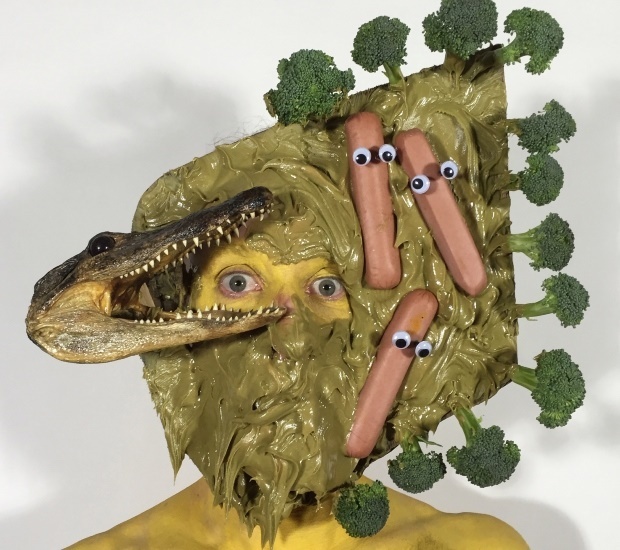 The uncanny works of David Henry Nobody Jnr from New York in US features face attachments ranging from ice creams and toothbrushes to hamburger meat and even pictures of Donald Trump. David has even included peanut-butter-and-jam sandwiches and plastic toys in his face shots. To date, the artist who started his project in 2014 estimates he's taken around 700 self-portraits. "I have a history of working in character – much like a writer would write in character," David said. "I morph my identity into the things around me. "I'm definitely not afraid to be cheesy and enjoy using humour." David said previously he created, on average, one shot a day. Now the American spends up to 24 hours on each piece, meaning his images are more complex and less frequent. 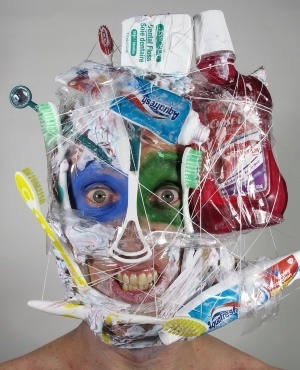 The series is David's take on a consumerist society, with the artist collecting the "detritus" that surrounds people as part of his facial designs. David sources these objects from a variety of places: Craigslist, items friends and fans send him, local charity shops and dumpsters, dollar stores. The artist’s self-portraits have also received a large deal of attention online through the viral videos he creates. The videos range from him pouring milk into a clear bag of Corn Flakes that covers his face to rotating toys spinning around his head. Going forward, the artist plans to continue adding to the series, which he hopes will inspire people to be creative and not become some of the great consumers of mainstream society. "I get a lot of positive responses; some negative," David said. "I think for a lot of people we live in a more cookie-cutter reality, and this work shows young people they don't have to follow that."